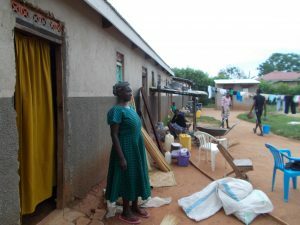 The Soroti Women’s Co-operative Limited Union (SOWCUL) is continuing to grow in size and effectiveness as it helps communities harness the power of Village Savings and Loans Associations (VLSA’s). These associations operate by people in a community all saving into the same ‘pot’ of money. From that ‘pot’ various loans are made and interest charged. The end benefit is that people can borrow small amounts of money to start businesses and also gain interest on their savings. SOWCOL has been financed by TDT for a number of years now, and has recently opened their 58th savings group. Mr Alira Peter, joined the VSLA in 2012. He had a small makeshift stall which he was using for selling meat. 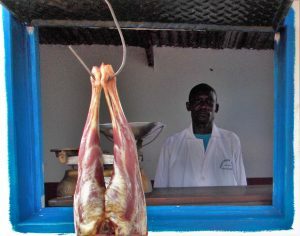 He was not doing very well but now he has built a good butchery, and he is the proud owner of 14 cows all thanks to VSLA. Madam Midi Rose was abandoned by her husband with 4 children and she was left to struggle with them by herself. In 2012 she started a VSLA with 30 of her friends. Today Midi has one of her daughters training in Mulago hospital to become a midwife. 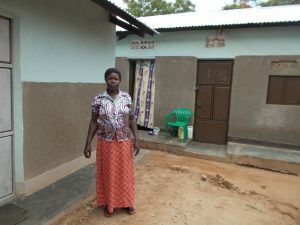 She has bought a house which she renovated and rents other rooms to tenants. Also, Midi has opened a shop! All these achievements are due to the VSLA group. Mr. Ogwang Jonathan joined VSLA in 2013. Since then he has bought a welding machine and a ground nut sheller all thanks to VSLA. house and rents other rooms to tenants. Ms Aryenyo joined VSLA in 2012. She has bought a container where she cooks food for sale, and has also managed to educate her daughter who is in senior 4 this year. There are many more stories………………..